“Arrête ou je continue” doesn’t feature some sort of twist and/or shocking revelation, but my review kinda gives away where it ultimately leads. So please be aware of that before you continue reading. Mind you, I’m not a stranger when it comes to stretching out relationships long after their date of expiry. Breaking up is never easy for me, because I’m a creature of habit, and when I’m used to having someone in my life, it’s hard fathoming losing them, as well as that sense of security and companionship that comes with it. I once had a relationship that towards the end was more like a flat-sharing community. But even shortly before we finally decided that we didn’t want to go on like that, we were in a far better and happier place than Pomme and Pierre are over the entire course of the movie. We didn’t hate each other or anything, and while we didn’t have any romantic feelings for each other any more, we still felt for each other in a way. Which is exactly what made breaking up so hard. Each shared smile and/or laugh becomes a silver lining on the horizon, and you cherish those moments, because they provide you with at least a glimmer of hope that things could become better again. Also, you share a foundation built on love, memories and strong feelings, even though they may be remnants of the past. “Arrête ou je continue” neglects to give us any of that. There is not a single moment in the movie where I got the feeling that there’s even a slight flicker of love left between them. And Sophie Fillières unfortunately also denies us flashbacks or recollections of their happier times. Thus, I just didn’t get what kept them together – or why they were together in the first place. That said, “Arrête ou je continue” still managed to entertain me at times. There were a couple of nice, funny scenes, and overall, for a movie that is about the possible end of a relationship, it’s surprisingly light and amusing. The acting is also very good. Emmanuelle Devos and Mathieu Amalric give two splendid performances, even though they don’t share even an ounce of chemistry – but I assume that was intentional. Both characters have their quirks and weaknesses, even if I got the feeling that the movie is a little harder on Pierre than it is on Pomme. I also liked this sort of trip to self-discovery, and the ending was great, too. Unfortunately, I just felt that it took the movie – or, more precisely, the characters – too long to get there. 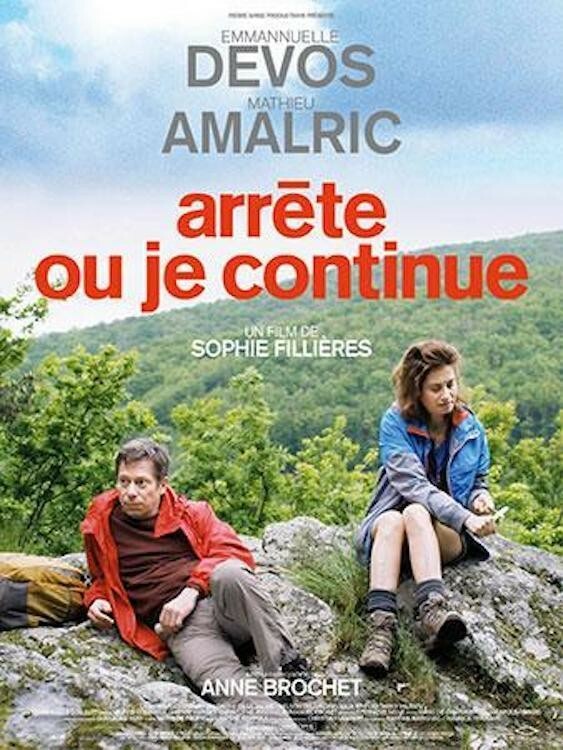 This entry was posted in cinema 2014, movie reviews, Viennale and tagged Arrête ou je continue, Emmanuelle Devos, france, If you don't I will, Mathieu Amalric, Sophie Fillières, Viennale 2014. Bookmark the permalink.